Mitchell Crane is equipped to reline, re-machine or repair damaged or worn parts and components often mistaken to be beyond repair. Our repair process was initially something Mitchell Crane developed in order to reduce the cost associated with rebuilding a crane. This process allowed us to repair and rebuild cranes within our customer’s budget by reducing the cost of replacement parts. Nowadays this process is part of our daily operation and we receive parts from all over the country for repairs. Most often though, we will repair a used part we already have, allowing the customer to keep running their machine until the repaired replacement part can be delivered. Once the repaired part is installed, the removed worn part is shipped back to Mitchell Crane and a credit is issued for the core, much like an alternator you would get at your local auto parts store. 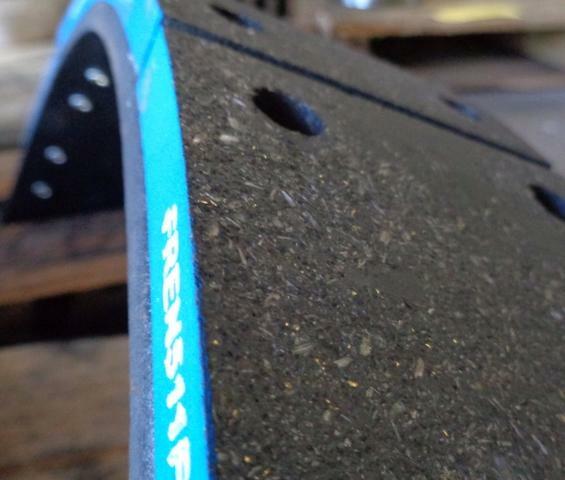 Transforming your worn or broken part into a fully functional repaired part made to their original OEM specifications is one of our most cost effective solutions to repair cost. Learn more about our rebuild exchange program for the parts you need. Cranes are made with large robust parts to handle to extreme pressure of their own weight and lifting capacity. 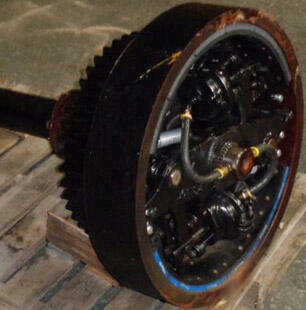 Many times the internal splines of mating parts will begin to loosen up, however the external gear teeth or bearing surfaces remain in good shape. 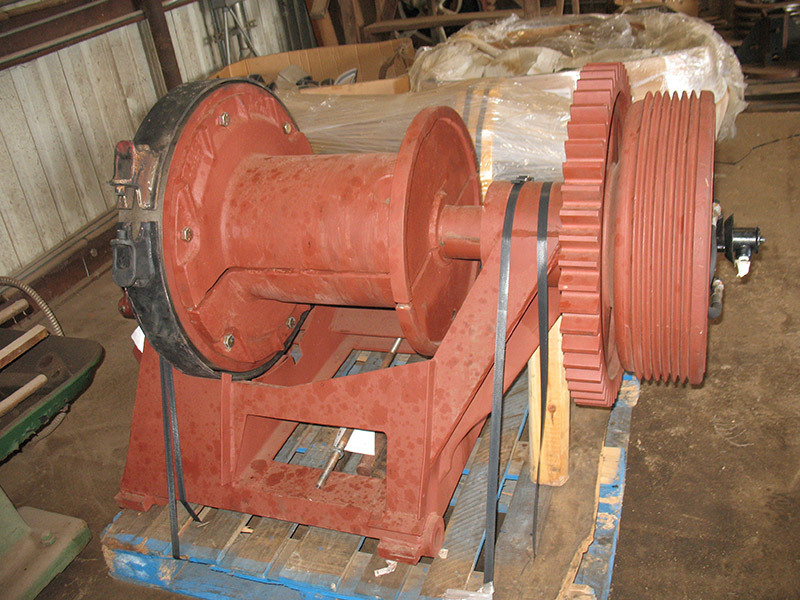 The Mitchell Crane re-spline process is an effective and inexpensive repair option. 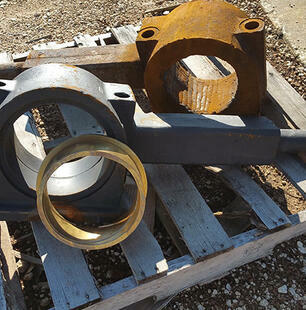 Mitchell Crane evaluates and services all types of hydraulic cylinders. From manufacturing pistons for small actuating cylinders to repacking cylinders pulled from a telescopic boom assembly, Mitchell Crane is your source for cylinder maintenance, replacement and repair. When it comes time to do more extensive repairs on your crane due to normal wear and tear, assemblies such as a side frame, clutch, swing or hoist can be removed and replaced with relative ease. The down side to these repairs is the amount of time needed to repair the assembly while the machine has been taken out of service. Many times the Mitchell Crane Rebuild Exchange Program is just what you need to keep running until your replacement assembly from Mitchell Crane arrives. 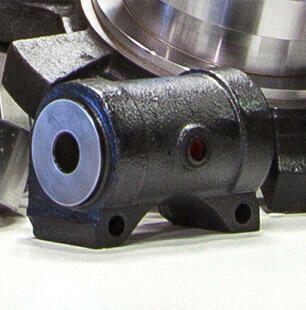 This can drastically reduce down time and keep your machine running safely and effectively. Mitchell Crane maintains two re-line shops in order to keep your clutch shoes and brake bands working right. Mitchell Crane also carries a line of new aftermarket brake bands and clutch shoes to replace broke or rusted through shoes or bands. 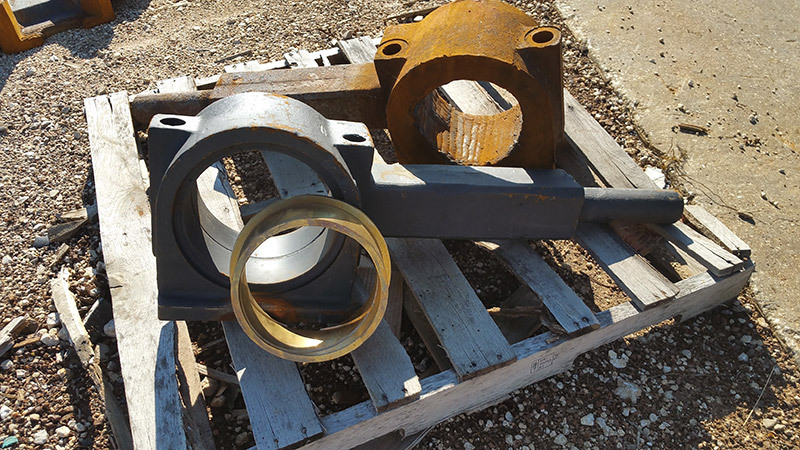 The Mitchell Crane Rebuild Exchange Program is a great way to save money on replacement parts, reduce down time and keep your machine performing at its best. Reduce repair cost by having internal and external splines re-machined back to original specifications when other wise the part is in good shape.